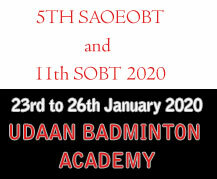 PERMANENT ADDRESS: At/PO- B Sitapur, Via- Parlakhemundi, Dist- Gajapati, Odisha, India. 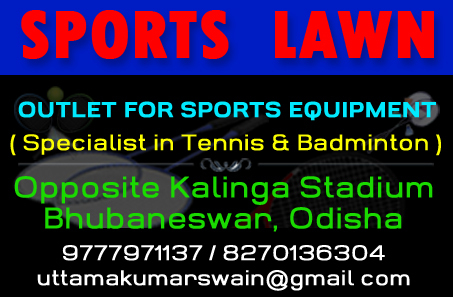 PRESENT ADDRESS: Plot No 217/927, Satya Nagar, Near Forest Office, Punjabi Colony, Bhubaneswar, Odisha. * Did preliminary watersports course at Pong Dam in 1998, under the auspices of Government of Himachal Pradesh. * Did a course in Special Forces Training Wing at Nahan (Himachal Pradesh) in 1999. * Did basic mountaineering course at Manali, under DAMAS. * Became the first India to traverse the 5,642 meter high, Mount Elbrus, the highest peak in Europe, on July 31, 2015. * On March 29, 2014, he set out in an expedition to scale Mount Kanchenjunga, the third highest mountain in the world, but only to cancel it on April 9, citing the reason that BDA, his employers, did not sanction him leave due to general elections. * Became the first Indian to pParticipated in Everest Marathon (42.196km) , the highest in the world, conducted by Nepal Tourism Department from Everest Base Camp to Namche Bazar in Nepal on May 29, 2013. 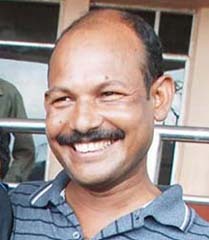 * Became the first male from Odisha to conquer Mount Everest (8848m) on May 18, 2011. * Successfully scaled Mt Friendship Peak (5,340 mtrs) in 2007. * Successfully scaled Mt Stok Kangri Peak (6,153m) twice in 1998 and 2005. * Successfully scaled Mt Saser Kangri Peak (7,672 mtrs), under the guidance of Chandigarh-based Youth Adventure & Mountaineering Association (YAMA) in 2002. * Successfully scaled Mt Golep Kangri Peak (5,980m) in 2000. * Successfully scaled Mt Mamostong Kangri (7,516m) Peak in 1999. * Successfully scaled Mr Khardungla dn Mr Stok-Kangri Peak in 1999. * Successfully scaled Mt Ladaki Peak (5,662 mtrs) in 1998. * Successfully scaled Mr Shetidhar Peak (5,293 mtrs) in 1998. * Participated in Chandigarh Marathon, organised by National Adventure Club, India on Feb 2, 1998. * Successfully scaled Mr Bandarpuch Peak (6,102m) in 1996. * He has attended a total of 48 adventure camps in the country from 1995 till date. * Finished 19th in the 11th Tenzing-Hillary Everest Marathon held in Nepal on May 29, 2013. * Worked as Instructor for National Adventure Festival from 2002 till date. * Participated in the motorcycle expedition (Chandigarh to Khardungla _ World’s highest motorable pass, via Kargil, Srinagar) in 2005. * Participatd in the 500kms-long adventure cycle expedition from Bhubaneswar to Chandigarh and back in 1999. * Participated in the 160kms-long adventure coastal trekking from Konark to Gopalpur, organised by Department of Sports & Youth Services twice in 1995 and 1996.